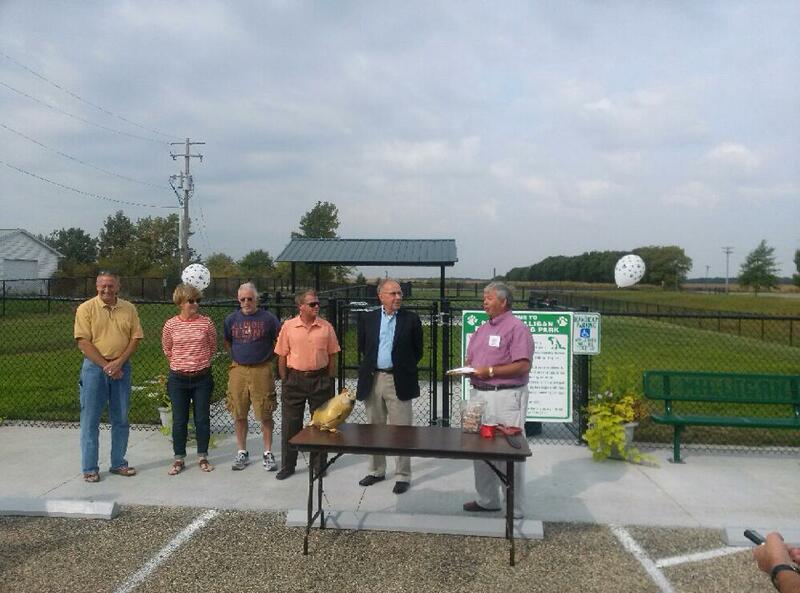 The Monticello Recreation Foundation is pleased to announce the opening of the Robert Milligan Memorial Dog Park. Funds have been generously donated to the Foundation by the Robert Milligan Trust. The park features two separate fenced in areas for appropriate-sized dogs: A small dog area about half an acre, and an area for large dogs which is a little over an acre in size. The park includes a shade structure, benches, waste stations, and fountains for both dogs and owners. Owners are responsible for the behavior of their own dog, and cleaning up after their dog. All dogs must be legally licensed and vaccinated, and shall wear a visible dog license. A full listing of all other rules is posted on site. The park is open to the public FREE of charge. June 2017 (4) Shade Trees donated by the Monticello Rotary Club were added to the park. Fall 2017 Monticello resident Dalton Harris completed his Eagle Scout project at the dog park. He planted trees and installed dog agility equipment throughout the park.